For most general types of firearms, you can find info on how to ID and value them here. However, there are certain types of firearms that are just tough to identify or estimate a value on. These are guns where published references are few, and either there are few specialists in the field or if there are specialists the guns can only be i.d. 'd by an expert hands-on inspection. Even then, the identification is often more art than science, and value estimates may be speculative. Original hand made flintlock & percussion ("cap & ball") firearms. These are original antique muzzleloaders that are made by individual gunsmiths or small manufacturing concerns, usually prior to the era of mass production, but sometimes well into the mid-19th century. There are literally thousands of small individual makers, and often such guns are unsigned with no sure way to identify the maker. In these cases, an expert hands on inspection may result in a reasonable estimate of value based on such factors as probable maker, condition, quality of construction, style & extent of decoration. Some may have considerable value, in thousands of dollars. Others, such as well worn no name double barrel shotguns of average quality & low condition may be worth well under $200. Generally, "signed" guns will bring more than unsigned. The gunsmith is generally considered to be the name (if any) that appears on the barrel. Often gunsmiths purchased pre-made locks from small manufacturers, especially during the percussion era, and the name appearing on the lock will often be the lock supplier rather than the gunsmith. In the U.S., American made guns tend to be more desirable and more valuable than others, especially from the flintlock era. 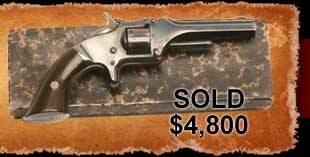 European - especially English, French, German, and Italian - guns can also have good value. Generally, but not always, Belgian made guns will have a bit lower value ("ELG" proofmark indicates a Belgian made gun. Type of gun will impact value. 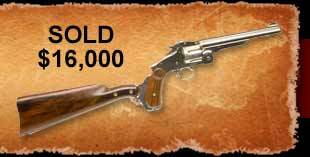 Among American made guns, GENERALLY flintlock will be worth more than percussion (guns that started as flintlock, were converted to percussion, and more recently converted back to flintlock will bring less than original flintlocks); full stock will be worth more than half stock; rifles tend to bring more than fowlers. There are many exceptions to all these generalizations. "Tourist" guns - These are often North African, Mid-Eastern, or Balkan in origin. Flint and other early pattern gun have been made in these regions for sale to tourists for centuries, and are still being made today. They are often artificially aged and sold as old guns. The majority that show up in the US tend to have little value beyond decorators, altho some of the older ones may have some value. They are often very ornately decorated with mother of pearl and wire inlays, although the workmanship will tend to be crude. Some will copy European designs, including copying makers' names. Others will have distinctive regional features. Researching small early gunsmiths - Generally, these will not be listed in most price guides. There are some texts that include basic information on some of the small gun-makers of this era; usually only such basics as dates of death & birth, locations, and general types of guns made. Small Arms Makers by Gardner lists both American and European makers. American Gunsmiths by Sellers, and American Gun Makers by Gluckman & Satterlee list American makers. A number of book by Dr. James Whisker and various co-authors list Amercian makers by specific region. Modern blackpowder reproductions -It's not at all unusual for someone to confuse a modern blackpowder reproduction with an original. If a gun is marked "BLACK POWDER ONLY", or "MADE IN ITALY" (or any other country name), it will nearly always be a modern reproduction. 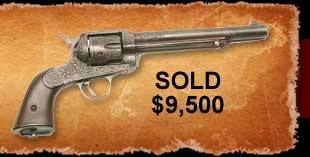 In the 19th & 20th Centuries, several large manufacturers would make guns with any name on them requested for resale through hardware stores, large distributors, mail order catalogs, etc. 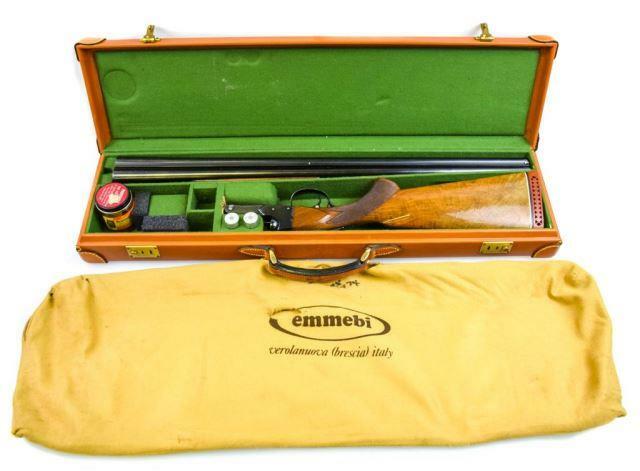 Often when a cartridge firearm has an unusual name on it, it is such a "trade name" gun. They usually have little collector value & are primarily valued as shooters. Researching Trade Name Guns - Tables showing the true manufacturer of various trade name guns can be found in the two major price guides. Standard Catalog of Firearms table tends to focus more on earlier late 19th & early 20th Century trade names, while Blue Book of Gun Values tends to focus more on mid-20th Century trade names (for example, guns made for Sears, Wards, Western Auto, etc.) Side by Sides of the World by Charles Carder in an excellent encyclopedia of trade names used on double barrel shotguns. Suicide Specials by Webster is a similarly definitive reference for small late 19th Century spur-trigger revolver trade names. Both these last two may be out of print, try inter-library loan or Amazon.com, etc. SMALL EUROPEAN CARTRIDGE REVOLVERS, ca. mid 1800s to early 1900s. These were made by a large number of cottage industry type makers with few distinguishing marks in a bewildering variety of styles and configurations. These would include folding trigger hammerless revolvers sometimes lumped together as "Velodog" or "Puppy" type revolvers. Altho some can have good collector value, many seem to sell in the $100 to $200 range IF you can find a buyer. Similar situations apply to other European firearms by obscure makers (altho some by fine artisans can be quite valuable) and Pinfire firearms and unlicensed European copies of American revolvers from the same time eras. Although much money is spent on customization of guns, they are very hard to value in the secondary market & can be slow sellers. This especially applies to military rifles that have been "sporterized". Signed works by early famous gunsmiths can be an exception to this generalization, as can essentially custom built rifles by top makers, although these can be slow to sell. ot 14: Winchester Model 21 12 ga -Excellent condition - shotgun - 28" SxS, matted rib, Winchester proof steel, right barrel IMP MOD choke, left barrel FULL choke barrel - checkered walnut pistol grip stock and beavertail forearm - stock equipped with red Winchester recoil pad - 32,500 total mfg. - Please see Armsbid.com for extended description. web design and seo by ngenius media inc.